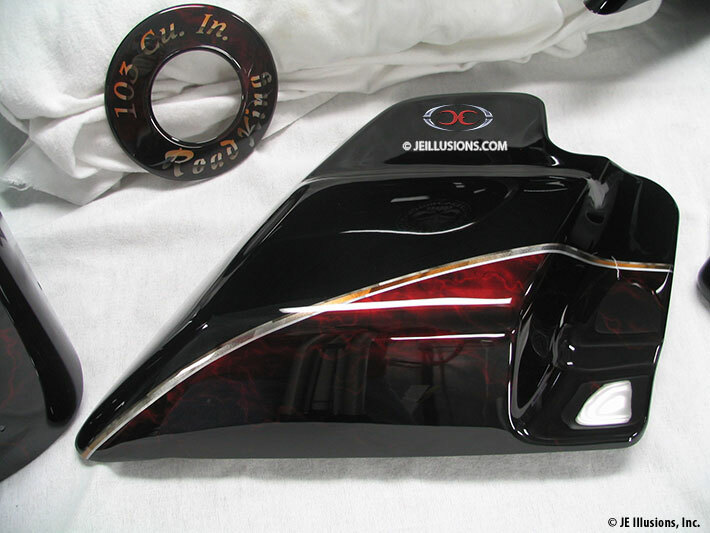 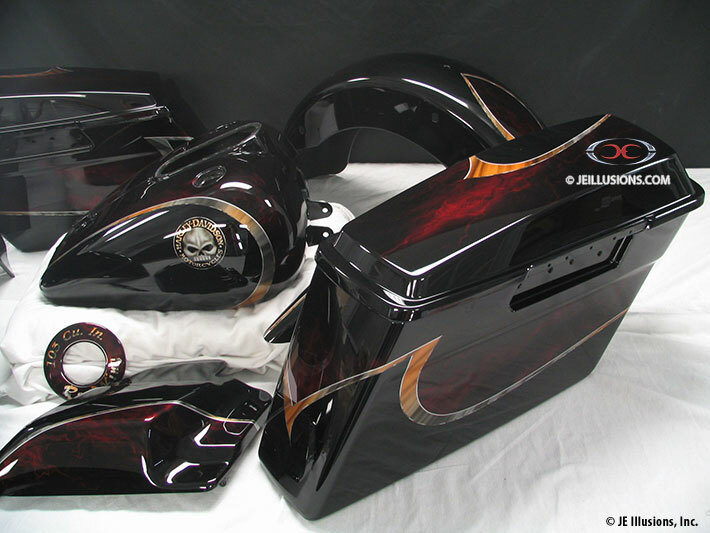 An airbrushed Gold and Silver bevel edged blade design separates jet black on one side and deep burgundy kandy signature airbrushed effects on the other side of this graphic. 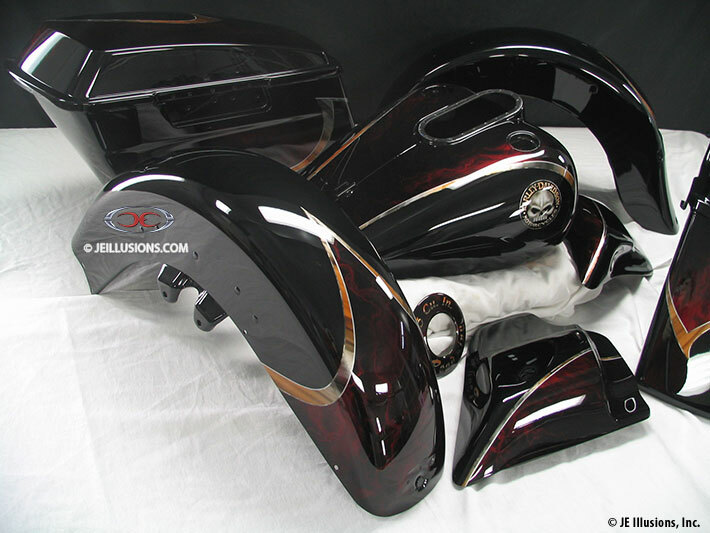 We wanted even more jet black on this paint design so we faded the burgundy effects into jet black as well. 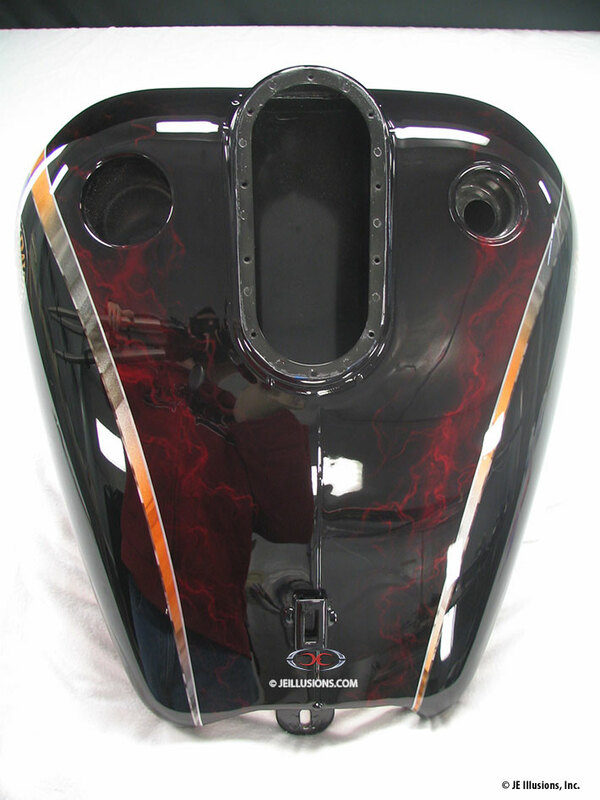 In the perfect placement on both sides of the tank we applied and airbrushed Harley-Davidson scull logos in the same colors used for the 3D graphics.